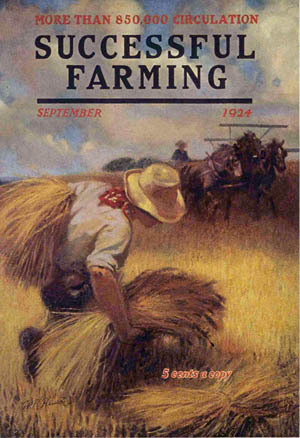 During the earlier part of his career Walter Haskell Hinton did many covers for farming magazines. At a time before widespread electrification, local newspapers and national magazines were the only sources of current information rural people had about the world beyond their communities. Magazines provided more than news, however. They also supplied pictures that were used to decorate the home, for school projects, to make greeting cards, for craft projects, or as decorations for gifts. The pages of magazines were also handy as packing material, toilet paper, lining under linoleum, lining for drawer and cupboard bottoms, and for any other purpose for which we today use specially-made wrapping papers, paper towels or similar things. 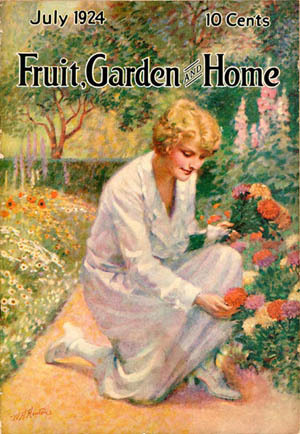 Cover images were especially welcome in bringing art into the home. 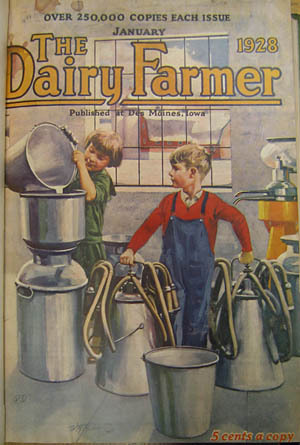 Hinton’s covers document the massive shifts in agriculture that began to occur after World War I. 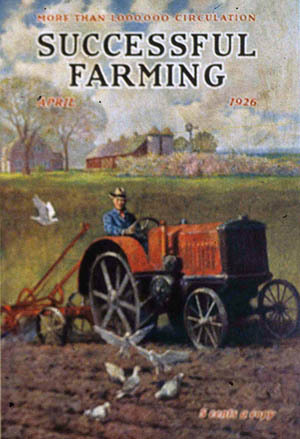 Many of the covers show traditional farm practices such as horse plowing, but others show tractors, which were just beginning to be adopted in the 1920s. As machinery moved in, it pushed certain traditions aside: the collective harvest with neighbours dwindled, and farms began to specialize and consolidate. 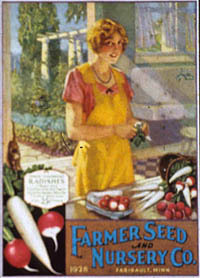 The old -fashioned, family-sized farm with a variety of stock and crops was slowly beginning to wane. But awareness of how sweeping these changes would be was still in the future. 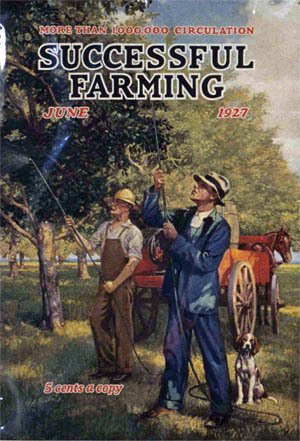 For Hinton and his readers, the 1920s promised the best of traditional farming and the best of new technology together in harmony. Applying pesticides with no safety gear! Tractors were a new device on many farms.